Twenty years ago, when La Consulta was not yet known as a prime Malbec area, Ricardo Toso was persuaded about the potential of the land by his cousin Mario. He convinced Ricardo to try to cultivate Malbec vines instead of setting up a more traditional apple orchard. Today, that risky bet has paid high dividends. Don Fernando Vineyard has now become a pinnacle spot in the La Consulta area, and it’s Malbec grapes are heavily demanded by top class producers. 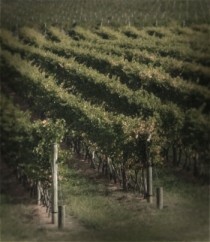 We are both proud and lucky to have unlimited access to these unique grapes to produce our wines.